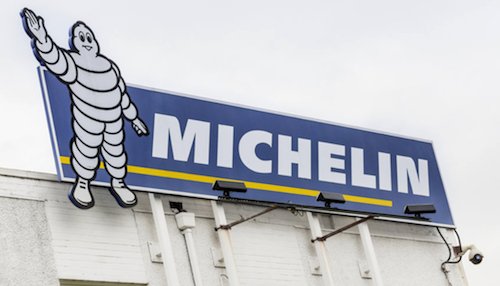 Michelin, Scottish Enterprise and Dundee City Council have signed a Memorandum of Understanding affirming the intention to secure a long-term future for Michelin’s site in Dundee. The declaration is at the heart of a new strategic partnership, the Michelin-Scotland Alliance, which will see tyre manufacturer Michelin and its partners transform the site into a key location for new economic and employment opportunities. Michelin last month announced its intention to close its Dundee site — which employs 845 people — in 2020. “The shared ambition for the partnership is to generate significant employment on the site through the development of an ambitious Michelin-Scotland Innovation Parc which will open up opportunities in manufacturing, remanufacturing, recycling and low carbon transport,” said Scottish Enterprise. “I would like to express my gratitude first and foremost to our workforce who have reacted with great dignity and professionalism in the light of recent events. “Their future is our priority. Scottish Enterprise CEO Steve Dunlop said: “Michelin-Scotland Alliance partners have a shared ambition to realise opportunities that will not only secure a long-term future for the site in Dundee but will sustain investment and strong employment opportunities whilst capitalising on Scotland’s strengths as a trailblazer in low carbon innovation. “The signing of this agreement marks the start of a journey. Economy secretary Derek Mackay said: “I am pleased we have been able to secure a joint commitment between Michelin, Scottish Enterprise and Dundee City Council to secure a positive future for the Michelin Dundee site and the workforce. “I welcome Michelin’s formal commitment to work in partnership to develop the next phase of their presence in Scotland, including the skills and the capacity of their workforce and the transformation of the site. “This agreement confirms our shared aim to secure a long-term future for the site and to generate significant employment there.